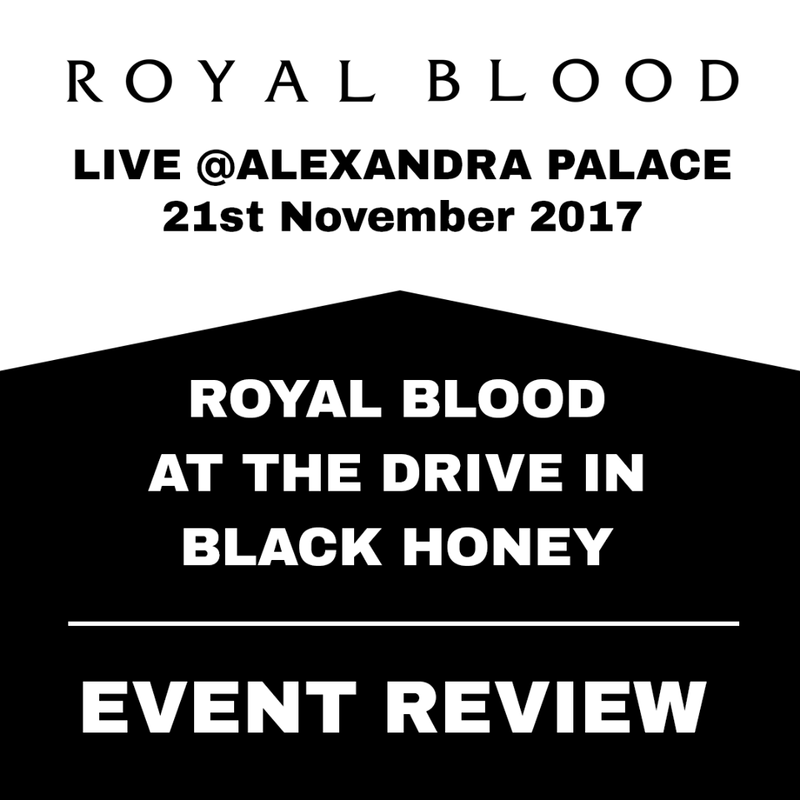 Royal Blood proved that they are most definitely the UK’s best live act last night (21st November) at London’s Alexandra Palace. Opening with their phenomenal Lights Out, the band were on a mission from the get go to get the sold out crowd in the palms of their hand. And they succeeded. Their euphoric set had many highlights, the tracks Come On Over and Blood Hands from their debut self-titled record were flawless and were stand out highlights from an electric setlist. The chemistry between both band members is astonishing, with vocalist and bassist Mike Kerr and drummer Ben Thatcher on fine form throughout the evening. The two support acts made sure it was an outstanding night, with the up and coming band Black Honey showcasing why they are one of the hottest prospects in rock music at the moment, and the absolutely awesome veterans At The Drive In whose frontman was one of the best I’ve seen for a long time with his remarkable stage presence. New tracks from their latest record like Look Like You Know and She’s Creeping went down a treat with their fans, although one of the biggest cheers of the night was for their mega hit from 2014 in Little Monster. Their punchy bass lines are always a highlight when they perform live, but tonight, Thatcher’s epic five minute drum solo in the middle of their track was arguably the most memorable moment of the night. Fan favourites Figure It Out and Out of the Black rounded off an epic night, with the band’s set design complimenting the heavy tones of bass and drum. For a two piece band, they make a hell of a noise. And the sky really is the limit for these two. Is a Reading + Leeds headline slot on the cards? You bet it is. Read our review of Royal Blood’s second record How Did We Get So Dark? here!